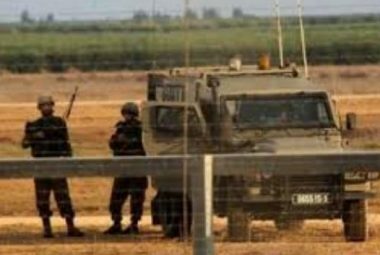 Israeli soldiers abducted, on Sunday evening, two young Palestinian men near the perimeter fence, in Beit Lahia, in the northern part of the besieged Gaza Strip. Media sources said the two young man where on Palestinian lands near the fence, when the soldiers abducted them, and took them to an unknown destination. The Israeli army frequently invades Palestinian lands close to the fence, in addition to repeatedly bulldozing the lands and placing sand hills. On Saturday, the Israeli army opened fire on several Palestinian shepherds, on lands near the fence, in eastern Gaza Strip. On Friday, the army killed a child, and injured 41 other Palestinians, including a medic, after retorting to the excessive use of force against the Great Return March processions.